The 2017 Discovery Sport can tell when you've left tagged items behind and locates them on a map. Tile's Bluetooth-connected trackers are made to keep you from misplacing all kinds of stuff -- keys, bags, phones, laptops, whatever. Now Land Rover is building the tech into a vehicle that makes it pretty much impossible to leave your important items behind. 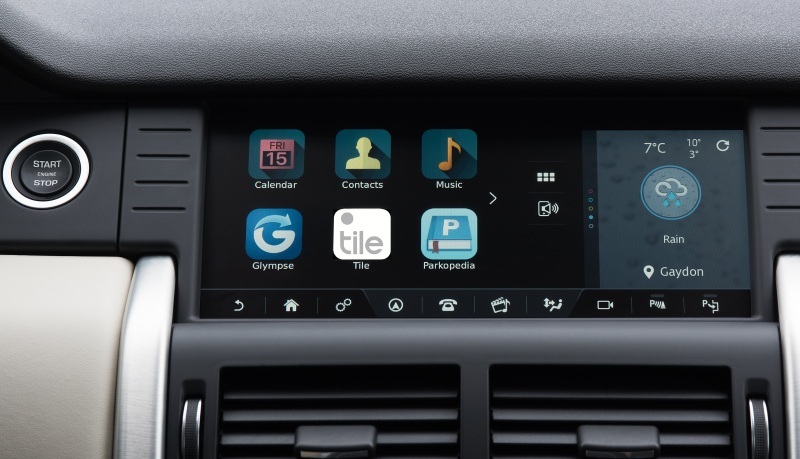 In the 2017 Discovery Sport Tile will be a part of its InControl apps setup, ready to alert the driver if tagged items aren't in the car. Maybe you've never shown up to the airport one bag short, but for the rest of us, it's one way to avoid an awkward situation. It's also able to find items that are inside the car, by locating them and activating a 90db alert sound. The 2017 edition of the SUV has the option of a 10.2-inch touchscreen with a 21:9 aspect ratio (and no hard buttons whatsoever) to control the apps including Tile, and a higher-resolution screen allowing dual-screen use by driver and passenger without reducing the quality.